Highway Stunt Bike Riders Pro is a free bike racing game for Windows 8 and 8.1. When you run the game on your device, you will be presented with an interface which allows you to start the game itself by simply clicking on the play button in the menu screen. 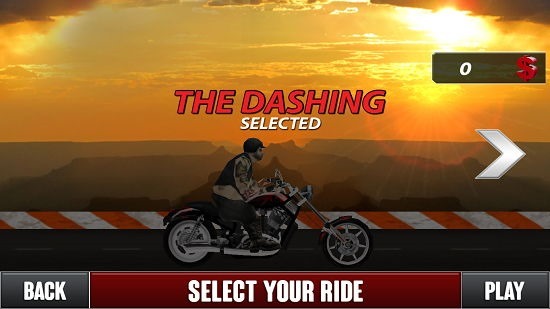 Next you can select your bike which you wish to use for the game. 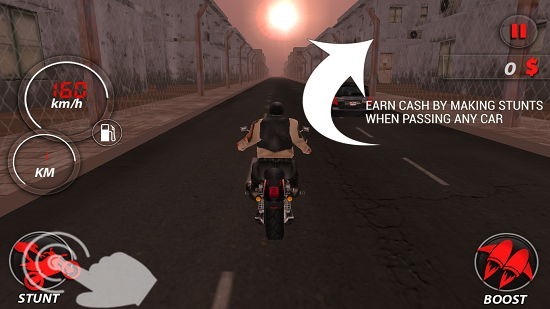 When all that has been done, you will be brought to the gameplay screen where you can control the bike either via the on-screen controls or through the arrow buttons. Some interactions like performing stunts have to be performed by on-screen buttons only for which you can use your mouse if you have a non-touch device. 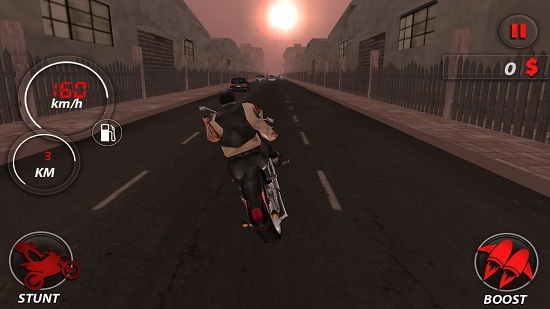 Highway Stunt Bike Riders Pro is available for free from the Windows App Store. When you run the game, the below screen will greet you. Clicking on the Let’s Go button will take you to the bike selection screen where you can switch between bikes by the arrow buttons on the screen. Click on the Play button when you are happy with your bike. When clicked, the tutorial will start as can be seen below. You can control the bike via the arrow buttons. The up arrow accelerates, the down arrow brakes and left and right arrows allow you to turn. You can click on the boost button on the screen to go faster and stunt button to perform stunts. The gameplay of the game with a stunt in action is shown below. 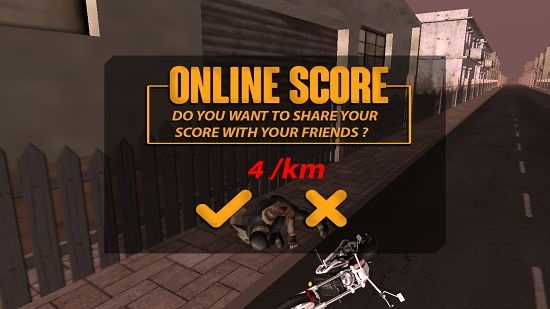 The game is over when you bike crashes and you are shown your score. This concludes the main features of the game. 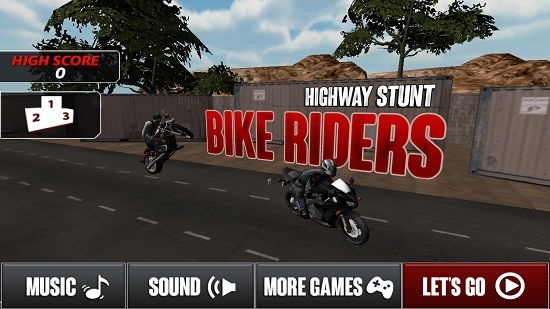 Highway Stunt Bike Riders Pro is a well-designed game for Windows 8 and 8.1. You can get it from the link below. Get Highway Stunt Bike Riders Pro.